Canterbury University has apologised for accepting a flawed thesis but says it can't revoke the degree. Education reporter REBECCA WALSH reports. It all started so well. Joel Hayward, a promising graduate student, receives an A-plus for his masters thesis. The hard work had paid off. But for the Canterbury University student -- now a senior lecturer in defence and strategic studies at Massey University and a PhD -- it was only the beginning of a controversy which would ultimately result in calls for his MA to be revoked. Seven years after it was published, Canterbury University has apologised for accepting his "seriously flawed" thesis ['The Fate of Jews in German Hands'], which claimed that parts of the Holocaust never happened. But it says it is powerless to revoke the degree. Dr Hayward's 360-page thesis alleged that there was never an official Nazi policy to exterminate the Jews in gas chambers and questioned whether six million Jews were killed. An inquiry into the thesis said it showed "industry, breadth of research and lucidity" but criticised its "perverse and unjustified conclusion," its "faulty method" and "poor judgment." The report said it had not been proven that Dr Hayward had acted dishonestly and that legally the university could not strip him of his masters degree. It also questioned the quality of supervision and the lack of explicit procedures for dealing with postgraduate research at the university. The decision has bitterly disappointed the Jewish Council, which had asked the university to withdraw the degree. It has also raised questions about how a seriously flawed thesis can remain an A-plus thesis. And, in turn, what does that say about the standard of the university's qualifications and New Zealand masters and doctorate theses as a whole? Dr Hayward was in his 20s when he wrote his thesis. It attracted worldwide attention, including praise from Holocaust "revisionist" historian David Irving, who described Dr Hayward as "New Zealand's leading Holocaust historian." This year, a British jury in a libel case ruled against Dr Irving, who was branded a Holocaust denier by an American professor for saying the Auschwitz death camp was a "Disneyland for tourists." Dr Irving was described by Dr Hayward as a "researcher, biographer and military historian of outstanding aptitude." But since his thesis was published, Dr Hayward has recanted his conclusions. In a statement to the New Zealand Jewish Chronicle in February, he said that in 1991 and 1992 he had been inexperienced as a historian and knew relatively little about the Holocaust. "My thesis represents a sincere attempt on my part to make sense of events I wanted to understand better. "Yet I now regret being so uncritical of people's motives and working on such a complex topic without sufficient knowledge and preparation." Since it was published in 1993 the thesis has been embargoed and held in the university library -- theses are sometimes embargoed for up to two years if they are to be published elsewhere or if commercial factors are involved in the research. The working party report said the seven-year embargo was unusual and it should never have been able to go on so long. Last year, Dr Hayward asked the university to withdraw the thesis from its library. It refused, but let him write an addendum. The university's apology has been accepted by the Jewish Council but president David Zwartz said it was concerned that the Jewish community was left with a Holocaust denial thesis "that still carries the award of first-class honours MA from the University of Canterbury." Mr Zwartz said the case highlighted the heavy responsibility that accompanied academic freedom. Stronger criticism comes from Dov Bing, professor of political science and public policy at Waikato University, who reviewed the thesis for the Jewish Chronicle this year. 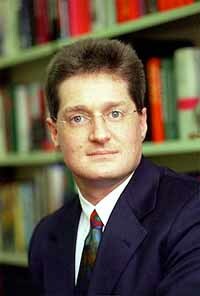 Professor Bing described the decision as a scandal that would impact on Canterbury University's reputation. "This is a contradiction in terms. They say it is flawed, that the supervisor didn't have the expertise, that the method is faulty, but they say they can't take away the degree. It's bizarre," he said. "Canterbury University now has the dubious distinction of being the only Western university which has given a masters degree for a Holocaust denial thesis." He said it would be regarded as a major victory by Holocaust deniers, who have posted the work on their websites. The thesis was supervised by Dr Vincent Orange, a lecturer in the university's history department, and externally marked by Professor John Jensen, formerly of Waikato University. Both maintained that the thesis was an honest and creditable work. Professor Jensen is understood to be overseas and Dr Orange would not comment. But the working party, headed by retired judge Sir Ian Barker, found that the thesis did not deserve a high honours mark and said it should have been revised and resubmitted. It criticised "systems deficiencies" within the university and described Dr Orange as an "attentive and conscientious supervisor" but said he lacked knowledge of the subject area. "A supervisor with expertise in Holocaust studies would have challenged the numerous inconsistencies and the imbalance of the argument." The report recommended firm guidelines for future masters theses, including the appointment of qualified and appropriate supervisors. But in its executive summary it noted: "It is hyberbolic and illogical to say that, just because the university standards slipped on this one occasion, every other degree of the university is tarnished. "Such a sweeping claim ignores the university's long tradition of scholarship and excellent research record over a wide variety of disciplines. Nor is it sensible nor rational to brand the University of Canterbury as approving Holocaust denial." Others agree that one isolated incident is not enough to damage the university's credibility. Dr David Woodhouse, director of the New Zealand Universities Academic Audit Unit, said the case was a rare occurrence and he did not believe it would have a negative impact on the overall credibility of Canterbury University or New Zealand universities as a whole. The audit unit was set up in 1994 by the universities but is governed by an independent body. It is at present completing an audit of Canterbury University as part of an ongoing review of New Zealand universities. Part of that review will look at post-graduate studies. Dr Woodhouse said universities were constantly monitoring and upgrading procedures to improve quality. Retired Auckland University history professor Nicholas Tarling said he believed that the standard of the New Zealand assessment process is high. Masters theses were generally peer-reviewed by at least one other academic expert within New Zealand while doctorates were peer-reviewed by academics here and overseas. Professor Tarling said it was critical that universities advised students before they embarked on their studies whether they had adequate resources and supervision for their research topic. The chairman of the New Zealand Vice-Chancellors Committee, Dr Graeme Fogelberg, would not comment. Canterbury University vice-chancellor Daryl Le Grew said this week that the Hayward thesis should not have been approved without far more scrutiny. If it had been put forward today it would have been subjected to improved departmental and university processes. In its report the working party said the university's apology and acceptance of responsibility in no way impinged on students' academic freedom. "The freedom to express unpopular or controversial views is crucial but must be based on sound research. Unfortunately, this thesis is flawed, its methodology is dubious and its conclusions do not stand up to the weight of evidence." The case is not the only one this year to highlight the depth of feeling associated with the Holocaust. Last week, Waikato University announced that former Ministry of Education chief executive Bill Renwick would head a review of the university's handling of the enrolment of an alleged neo-Nazi, German-born Hans-Joachim Kupka. In the meantime, Dr Hayward is taking a Christmas break. He will be back at work on January 8 to face his critics.